"The Sales Enablement Tool I dreamed about 10 years ago"
I like being able to easily filter and search for specific content based on on multiple variables, so that I can provide the best information to my prospects. Before Seismic, it was difficult to locate specific information, so I'd save it on my desktop, only to find I was sending outdated information. Seismic is smart and helps me be efficient while allowing me to access all of the great content our marketing department produces. Also, it's great to be able to see when my prospects access the content, because it allows me to give them priority. Honestly, nothing. I think it's a game changer for helping me to be a better rep, because it makes it easy to add value to my communications with my prospects. Save time finding appropriate content, and getter insights and results, because I can see if prospects are viewoint the content. "Seismic is the only way to go!" I've been very impressed with Seismic from not only a platform and functionality perspective for our sellers. But their support and services have been more than supportive if and when any issue arises. I've worked with vendors for different kinds of other needs we have outside of sales enablement and frankly its always a pain compared to how easy and helpful the Seismic team is. Often an account rep is always trying to sell you something or pull you to use the tool in a way that doesn't fit your needs but not Seismic. The support and services are supper. Their platform is powerful, it integrates perfectly with our Salesforce and the analytics empower your product marketing team to put facts behind our actions and support our efforts with what is being used. Sellers also love the LiveSend capabilities and we have even expanded Seismic to other geographies outside of North America to replicate success. An issue is that you will have to train your sellers to use it. While it is very easy and anyone who uses email or Facebook should be able to figure it out, some sellers are not tech savvy. I would like to see seismic have more tools to help us improve seller adoption. Our adoption is above industry average for a company of our size but still there are technology lagers even in the sales organizations of a software company. We have had Seismic improve our seller usage of content and we have seen customers engage better with the content we work so hard to create. "A fantastic user-friendly sales enablement solution!" The usability across the platform from an end user and an administrator. Customized materials and presentations can be created in a matter of minutes and deployed to all users. There are very few limitations and the Seismic team is very open to end-user suggestions as future enhancements. Talk to users of the system, Admins in particular. The system is very user friendly and the fact that customized materials can be generated on-site is a huge market changer. We now have the ability to provide our distribution channels with current customizable marketing material that normally would have to be created by our design teams. The biggest benefits that we have realized is less workload on our design team to create customized materials (as well as a much faster turnaround time when the material is created in Seismic) and confidence from our distribution team that they are getting the most up-to-date material. "Extremely Organized and Easily Digestable On the Fly"
Seismic makes finding the appropriate files easy due to its user-friendly interface as well as the excellent organization of the data architecture. Items are easily searchable and filters are very easy to use. Excellent UI and UX design makes seismic an easy tool to use in any sales or marketing scenario. Have not currently found any major dislikes within Seismic. Any time there has been an issue finding a document, it is on our company end from a document production standpoint. Very happy with all features of Seismic. The more organized your company is with their data is the better, but even if you aren't, Seismic can help streamline that process so that you achieve the level of workflow and document management for sales enablement that is desired. Seismic is extremly user friendly, and the filtering and sort features help finding the right sales document at the right time an easy process. Easily searchable and filtered information provides answers in a timely fashion when needing to gather knowledge or answer any sales questions quickly and effectively. When I need to send a customer or client information specific to their case, the filters provide easy access to that information so I can make sure the proper information is sent in a timely fashion. "Best Document Repository Suite (Hub)"
Navigating for documents is simplistic and modern. Competitor solutions are often clunky when it comes to search functionality. I also appreciate the News Center and how it will highlight all of the documents that have been recently published. This allows me to maintain a current and up to date knowledge around my company, from both a technical and future organization perspective. URLs can often be cryptic for direct links to documents. This is a minor annoyance, but allowing custom URL functionality or a better default naming convention could be an answer. Work with your team to understand its feature sets. I have used SharePoint / Confluence / GDrive and others are ok at what they can do, however Seismic is far superior in its role. Sales enablement via best practice documents and ensuring each member of our sales organization is kept up to date. "Seismic helps me do my job better"
I like how Seismic allows me to quickly identify content to send to customers and provides real time feedback on what content was relevant or interesting to the recipients. Having our company's content managed in an organized and intuitive system has absolutely saved me time throughout my workday. This isn't a problem for me personally but I imagine that you get more out of the system if your company manages it well - which I feel like we do. The thing I like best is that you can see what the people and how long they spent on it. Depending on what you send the prospect it gives you a good idea and talk track. I love how you can put anything you want and have the ability to track it. I also like how there is different ways to get reports on what is read. The only thing I dislike is how long it takes to actually send it out. If there was one thing I could change it would be the process of sending it out. Overall I am very happy with this sales tool and I am glad our company uses this. You need to see this system in action because it is been such a help with my job. Just cleaning up the content so it is easier to find what you need to send. The benefit is knowing what to talk about based on what they spent the most time on. It helps me have better conversation with my prospects. "The Click of a Button "
Seismic Content allows me to send our customers in a time fashion. And it shows me what they are looking at so I know what to talk to them about. I wish we had more content and testimonials and case studies for every industry. This would allow us to connect to every industry concern on the market. I am showing companies how we can directly impact their business. The benefits I've seen it allows me to know the customer wants and allows the customer to see what we have to offer. It's not allowing me to write a review on the website for some reason, but I will glady write it to you. 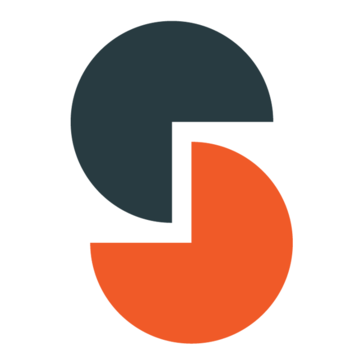 I love seismic and I think it's an extremely useful resource for marketing. It allows me to track the content I am sending to prospects, and monitor the usage. This allows me a better insight into the prospects thinking, and if he's understanding what I'm sending him. Seismic has helped me countless times when generating interest for our services. This unique form of marketing has allowed us to reach new heights with out campaigns, and generating/distributing content. I highly suggest organizations to adopt seismic, and use it to their advantage in this day in age! One issue I have had is having the e-mails come into my prospects spam folder. Use it to your advantage. In the evolution of technology, it's important to stay up to date and know what's going on. Seismic has helped me with generating interest and being able to see how they analyze the content. The platform can improve the menu with more information about specific searches. The livesend is an issues, due to the lack of infortion related to customer's view. When a customer clicks on the content, the livesend should send me a report with all information, but it is not accurated. Most part of the reports that I received was saying that the customer spent all time in the firts page, even if I was with this customer. Try to implement according your audience needs. This platform is very large, so, if you don't measure your audience, you can lost the driving; Try to use the best driving related to the opportunity funnel in order to get the maximum experience in this tool. "Excellent for Sharing Sales Content"
It provides for easy storing and updating of sales content. I also like that you you can see what your client/ recipient of a presentation has viewed and how much of the content they have viewed. In addition, you can see how much time someone spends on a page. You therefore know what is of most interest to them and can focus a conversation, follow up call/ email or agenda on a particular topic that you know is of interest to them. All of the above mean that we use this as an active repository of information and that the sales teams are able to easily find the right content quickly. Our teams do not rely on copies of sales materials on their hard drives (which means information can quickly become out dated) and this means we're able to better control the content and make sure that it is up to date. As a sales person, the client sharing functionaility has its limits. Whilst conceptually great, not all clients prefer a link to a document rather than an attachment. "Seismic is AWESOME for organizing coll"
The best part of Seismic is the ability to apply many different filters in order to find the exact content that I'm looking for. I can filter by content type, or by industry, or by product, etc. I use the filtering every time that I need to find collateral or content that my company has produced. This is a weird complain, but the only thing I don't like is the URL to access Seismic. In order to access it, I have to type in my own company.seismic.com. I wish that the URL were the reverse: seismic.company.com. That would be easier for me to access. I highly recommend it. As a salesman/end user, it has made my job much easier. Our internally created content was spread all over the place. There was no central location for it, and it certainly couldn't be searched or filtered. It was a nightmare. Every person had different content/collateral on their own person hard drive which is terrible practice. Now I know exactly where to go for content produced by my company and amidst the hundreds of pieces of media and content we've created, I can find what I'm looking for very fast. I dislike how content is uploaded / managed. It's a bit clunky and from an administrator's perspective, difficult to use. There are great tools like LiveDocs, but the learning curve around building a simple LiveDoc (let alone complex) is quite high. Make sure you know the IT requirements on YOUR end to activate all of the great benefits they tout. We stumbled quite a bit in implementation because our company's IT structure didn't lend well to the Seismic platform integration. Sales can no longer say they cannot find content when it's served up to them while in an opportunity. This has reduced the number of "where can I find X?" calls, has reduced sales time spent looking for content (or ultimately sending the wrong content), and has helped us fine tune the content we're developing (we can now see what's working, what's not). Hi Jamie - Thank you for the conversation with me and our CMO about your experience. It sounded like you were on your way to working out the internal processes on your side to make the content process easier to manage. For LiveDocs, it sounded like your Customer Success Manager was working with you to allocate more training resources to be self-sufficient. Thank you again for your feedback as it was helpful to improving on some of the challenges you were facing! Hope all is well! Please get in touch at reviews@seismic.com if there are any unresolved issues that we discussed. "Seismic has been a great tool to gain a deeper insight into our prospects"
Seismic sends me a summary report of what my prospects have specifically viewed out of the content I emailed over to them, as well as how long they've spent reviewing that specific content. This is a valuable resource that allows me to see what my prospects concerns are without them having to tell me and where I should put additional focus during the sales process. The layout and appearance of the email looks a little impersonal, almost as if an automated system is sending it out instead of myself. To view the content you must also click a link located within the email instead of viewing the attachments right from the message as you would with a normal email. Use it. I am not familiar with similar software but so far Seismic has been a game changer in my sales process. When communicating with a prospect there is only so much insight you can gain on their concerns and key interests in order to logically explain why your product is the right solution for their problems, and can provide value to them. Seismic allows us to send our prospects a variety of information from our company content bank and then see how they reviewed this information. For example, a prospect might spend 3 minutes looking at how our system can help them cut down on operating expenses but completely skip over the overtime segment. This helps me develop a very pointed and customized sales strategy for every potential customer. "On the go Education, and it Should Never End"
The best part for me is the mobile feature to take all the lessons on the road with you. The product that I sell is highly complex and it has plenty of moving pieces that I need refreshers on. When there's something I need to cover for a prospect or client, I need to refresh the content so it's top-of-mind. The care is my sanctuary for learning, because there's not much else more productive to do while in a traffic jam. I wish the mobile version had a speed-up feature where i could listen to the educational videos at 1.25x or 1.5x speed. Even when I was an early employee (3 months within being hired) I was able to cover some database use cases we had from an expert's point of view, just because I was able to review the plan the week of and even a refresher on the road. Finding documents can be tough. It's nice that everything is web-based. So I can access it anywhere. Seismic does have a nice look to it. But the searching capabilities and trying to navigate and find documents that I'm looking for is very hard to do. Sometimes when I FIND what I'm looking for, the links and documents don't work or don't load. I'm not sure if that's the people who setup our version of Seismic but it doesn't work well for me. It's a good place to store documents and things that you need. But things seem so embedded, it's hard to find anything. Having all documents/links on one website. While most builds have been totally do-able in house, as with any system, highly complex data manipulations (required for financial services companies) require SQL code. To date, customer service has been very supportive of helping us maintain and develop code for those more complex scenarios. Work on the formatting of your collateral prior to uploading - we had some corrupt files which caused soem hiccups. Additionally, our firm seems to be highly customized, which has made our implementation significantly longer. A Seismic solutions expert might be able to better guide you, but if there is an option to make 2 similar exhibits identical, it will make things easier down the road. Automation of all collateral, including quarterly presentation decks, quarterly fact sheets and client reviews. We have already realized huge benefits in time and ease of production, as well as the accuracy of the data flowing in, as we have essentially eliminated the risk of human error in data entry. "Made my work processes much faster!" Seismic is super functional! Uploading documents is incredibly quick. I like that we also have pre-uploaded documents so for documents that are frequently used, we no longer have to upload every single time. I also really w not the LiveSend feature, it is super handy to be able to tell what recipients are focusing on when sending or content. It helps us to provide more exceptional customer service. I will say that I don’t particularly like the fact that our documents constantly default to a PowerPoint instead of a PDF. And that any time I edit the document (after I have already converted to a PDF) it reverts back to PowerPoint meaning I have to convert it to a PDF again. A bit time consuming. We are now more able to see exactly what recipients are focusing on. This means for the next document we send we can tailor it better to peak their interest. The LiveSend feature also allows us to avoid sending large attachments via email, which is very convenient. It’s also great to be able to save and edit documents online rather than in a computer shared drive, taking up less space. "Seismic has changed the way I give my sales pitch"
I like the live hyper links that easily accessible to whomever I'm sending the content to. The fact the I get updates on how the customer is interacting with the content I sent over is amazing. It allows me to gauge interest with having to make a phone call. This has sped up my sales operations. I don't like that the hyper links expire after a 2 week period. I'd like to see it last at least 30 days just so I'm not sending the customer too many emails. That about sums up what I don't like. Like I stated in my initial email the seismic software has really impacted my business. Also I'm solving the lack of education in my field. The seismic presentations and the brain sharks are helping me educate my customer in exciting ways. "Seismic impact increasing at Apptio!" There is flexibility on this platform to configure the experience to specific users - Sales Development, Marketing, Field Sales, Partner Channel, Customer Success; there is use case for almost everyone throughout your organization. This platform has a lot of functionality and with new features/enhancements being released monthly I would appreciate a more intuitive admin-user experience. Do a lot of discovery around the functionality offered on this platform - there is so much that Seismic offers. Predicative content and LiveDocs are features that show well but there is huge value in the simple things that Seismic does easily. For example, searchability and version controls. Get DocCenter up and running and you'll see quick time to value. We initially brought in Seismic to solve a specific issue within our Sales organization. We quickly realized that the issue was not isolated to Sales and that other teams within our organization would benefit from a shared content platform and strategy. We have successfully deployed Seismic to 500+ users in our Partner Channel sales organization, integrated Seismic with Marketo to provide our Marketing team with thorough analytics, and continue to improve Sales Rep onboarding with a comprehensive content library. Sales always has access to the most up to date and current content – no matter where they are. Marketing is able to update and make sure Sales and Consulting are brand compliant. Our pitchbooks and case studies are automated through LiveDocs® technology and the Sales team is able to see what SOW's and pitch pages are resonating with leads. Getting team members to implement has been a challenge. The process from Seismic's side has been excellent. I would say for sales and marketing teams that are implementing - you should have a change management team leader on the internal side that can really make sure the process is deployed properly. With LiveSend, sales knows exactly who’s reading our content and for how long. It makes them smarter in follow-up conversations and helps to drive wins. "Great tool for marketing and sales"
It so useful to see what marketing assets are being used by sales. This helps us gauge what is working and what isn't and readjust our approach as needed. It truly helps align sales tools with marketing tools and provides actionable insights that move our whole business forward.We now have visibility into the content leveraged in successful sales pursuits and the ability to see what key words reps are searching is extremely useful. It's a great solution all around. Once everyone fully adopts its usage I think we will realize the full benefit of the solution. For the first time we are able to house all of our marketing assets on one site. More importantly, the analytics enable us to see what approaches are working and what we need to change. Having the ability to find the content I need quickly and track it after is invaluable to the sales process. It's almost barbaric to have ever done it not using this tool. I don't dislike anything really, but a couple of nice to haves would be the ability to send excel files and also a timed schedule to e-mail out content so that you could set up drip campaigns with Seismic. You need a tool like this in your life. Lots of benefits, but one key thing is by knowing if somebody has opened your content and how long they have viewed it for you now know where to spend your time as a seller instead of wasting time on folks that aren't engaged. Or assuming they know information that they don't know. "Phenomenal leverage for maximum efficiency gains"
The tools we create make the job easier. Not a thing; the tool is a game changer. Dig in and see the impact it makes on your business. It's awesome. We have associates across the country using Seismic and the feedback we get is exemplary. People love the efficiency gains, the power, and the ease of use all granted to us by the Seismic platform. It's awesome. Would recommend this tool to anyone looking to improve their workflows. Tasks that were once burdensome and time consuming are now seamless and quick. Tasks that were complicated are now simple. We are able to provide content customization for all of our associates and clients. Seismic is a literal game changer. "Clunky, unintuitive doc storage software"
This software is too hard to navigate as a user. It may be related to the way that my organization has it set up, but it is extremely unintuitive. The search feature brings up hundreds of unrelated article, it apparently has no way of rank ordering items based on usefulness. This is extremely difficult if you don't know exactly where to look for what you are trying to find. I have to take time to explore each new folder on a monthly basis to figure out what's been posted. Even documents that are commonly used throughout my sales organization are "hidden". Before using this, we used google drive as a repository. In the 6 months we've had this software, there have been enough complaints that as a department we are switching back to google drive. Not in love with the product. Make sure it fits your org's use before purchasing. The business needed a central repository to store information that was shared across the organization. As a sales rep, this is usually in the form of hunting for case studies or base proposals to work off of. From this software, I haven't found many benefits. I understand the need of a repository, but this is too much work to navigate. Hi there - we're sorry you're having a tough time navigating Seismic. We want to make sure that every customer has an excellent experience with Seismic, which is why we have more than 200 people on the product and engineering team working on monthly updates and Seismic product innovation. We take all customer feedback into consideration, so we'd love to facilitate a conversation with our CEO for him to show you what's new with our platform! Shoot us an email at reviews@seismic.com. "Fast and Easy way to share customer-facing documents." Integration with Salesforce and especially the integration within Gmail makes it easy to reply to a prospect with a document that reflects their inquiry ... and it's so easy and fast. This is the first time that I have utilized a tool like this, so I'm very impressed and have no negative feedback at this time. This is a very useful tool that will help make the lives of Sales & Marketing very happy people. "Easy implimentauon & Sales team loves me! " Seismic' content management and so much more. I have implemented several of these sales tools and Seismic has been the easiest to implement and the Seismic team is so supportive. The sales teams love the simplicity and easy of finding content, and I love the versatility to change things on the fly. They are able to find what they need easily and when they. need it. The added features of LiveSend and seeing customer access information and get insight into customer's buying thoughts or who the coach could be is great! New features are amazing and they often deliver something just as or before I ask for it. Great front end (where it counts) but awaiting a refresh for the backend admin pages.i have seen what it will look like so I know it's going to be a big improvement. Try it. It's great to regain control of all the content and portals. Customizing content with LiveDocs to reduce the 80+ slide decks or build proposals. The on boarding team made setting up a breeze. I have implement other similar systems and this was by far the smoothest. The system is efficient and fairly flexible and we are able to do most things (changes, additions, etc.) ourselves. Although the system is flexible and some parts are customizable, there are other parts where some more customization would be handy, such as the user interface. Eliminating the manual updates of presentations every quarter. All of our standard books and factsheets are now automated. We also built a system where our users can make a handful of selections and get a semi-custom book. "Seismic Has Been Great - Use it Daily"
Easy to search through the data by exporting it to excel, making tracking and sorting meetings easy. Also can sort in the site itself, allowing us to look at all meetings with one client quickly. Also is nice to track investments by clients and allows us to look at inception date, portfolio guidelines, etc. The screen / layout could use an update maybe. Allows us to easily keep track of meet counts quarter over quarter as well as look back and see notes from previous meetings with clients and prospects. "Game changer for client presentations!" Seismic has been a game changer for our teams when creating client presentations. It has allowed our teams to quickly hand pick slides that are relevant for their clients in an easy, step-by-step process. Also, being able to provide our users and decision makers metrics on usage of content was something we never could do before. Our customer success manager has also gone above and beyond for us, which has made any new projects or improvement of existing ones a breeze. The admin tools in the Control Center. We are looking forward to the redesign of the Control Center to help make the creation and management of content easier. We have simplified the ability to create consulting decks in PowerPoint with all of our latest industry knowledge and put it at the fingertips of our associates and producers. Another benefit is the ability to quickly update content to keep our associates and producers with the most relevant content out in the field. "Nice tool for large sales team"
One stop place for all our team documents and files to be stored so we can access over the web. We migrated from Sharepoint -- this has OCR which is great. Can be a bit overwhelming at first but easy to overcome. Sometimes search doesnt feel as accurate as it should. My team of 150+ uses this to store documents and collaborate on them. We have all our pricing, training and internal tools on here for our sales team. I love that Seismic has thought through the user journey providing capabilities to cover finding, sharing, collaborating and keeping up to date on content. PLUS, the capabilities, when leverage, can be a HUGE time. cost and effort savings for marketers and content creators. It is the most comprehensive platform I've seen that really is designed for the user, yet is fairly easy to use for content providers, publishers and admins. My only dislike, which I believe is being worked on currently, is the lack of "exception rule" in the Profile Builder. I think with that fix, this tool would be near perfect and make the most complicated part of the whole system easier! Keep up the great work! Love that you constantly improve the product, add integrations and focus on the users, while supporting the admins/tool owners! In short, we wanted to provide sellers and partners easy access content, while also leveraging a way to understand what content is valuable. With Seismic, sellers can now easily find, view and share content and marketing/sales will get easy to access to comprehensive metrics on content engagement that will help the organization make better business decisions. Previous solutions were both disparate and difficult to manage as a user or publisher and lacked any good data. In addition, we know that LiveDocs is a capability we will build out to see some real seller and content builder time savings! We are also finding many benefits from the tool that were never even on the scope when Seismic was chosen, and expect to find more! For me, what I like best about Seismic is that I am able to see the exact time my prospect spent on a specific page of the information I sent them. This allows me to tailor my pitch based on what the prospect found most interesting and valuable based on the provided information. No complaints! I have only been using seismic for a few months and haven't had anything but good experiences with it so far. Keep doing what you're doing. Everything's great! Again, I am able to tailor my talk track based on what information the prospect spent the most time viewing. "Most in depth insight of your prospects actions on email content"
The best part of Seismic is where you can see exactly how many minutes your prospect spends on a specific thing you send them. I found that when I tailor my sales approach to what the prospect spends the most time on that I have >80% success in selling the prospect. I actually can't think of a pit fall that Seismic might have. The user interface is silky smooth, easy to use, easy to navigate, and the options to customize the content to individual prospects is perfect. Would highly recommend it, but the downside is that you will become dependent on the level of info provided by the system. The live send feature gives you a notification when the prospect opens the email and lets you time out your follow up call. If you wait until they finish and then call you look like a magician the just "knew". I'm finding that the sales cycle is much shorter if you can pin point the exact pain point that the prospect is having. And with the customization of Seismic's messages you can find exactly that without the prospect knowing, so it makes you come across at the industry expert that knows their business to a T.
"Great Platform that can help BOTH Sales and Marketing"
The SFDC related functionality could be improved a little more to help larger enterprise use cases around Workspace. 1. Get content/collateral to the right end users at the right time and in the right location. "Seismic makes my life easier. I love it!!" I love being able to see how long my prospects have viewed the content I've sent! Sometimes it can be a challenge to find the appropriate content in a timely fashion but I think that is an internal issue, not a Seismic issue. Integration with outlook would be awesome. Maybe its there and I am not aware. Seismic solves version control issues and gives us a central location for all marketing material. Seismic also provides real-time data on content that has been viewed by prospects, with the length of time the prospect spent...so I can gauge the level of interest and follow-up as soon as I know they've reviewed what I sent. These benefits can essentially shorten the sales cycle. "User Friendly at its best"
The interface is pretty much easier to navigate. And I think it is important for every user to easily understand things in just one-look. Sharing file is a breeze; just drag and drop and uploading is really fast. Compared to One drive that takes more than a minute which is not really good at my work. I'd like to highlight that so far I have not experience any crashes. This CRM has simplified at its best. There's nothing to dislike when things have been easier to user. Add this thing "Sharing" it would be easy to understand what Seismic does. Than branding it just one word. If you put "Seismic Sharing" it would define easily your product. File sharing is important for our sales. It minimize our emails wherein our Sales our able to find it themselves in Seismic. "Robust system, great customer service"
Seismic has helped us automate our marketing materials as well as organize them in a way that is helpful and easy for users to access. This has cut down the update process significantly and shifted our focus from manually updating to reviewing. It has also helped us analyze the value of our marketing materials based on how much people are using them. This has also helped us prioritize which materials to update first. There are also several integrations (i.e., Salesforce) that are extremely useful. The learning curve is very high to be self sufficient. We are very dependent on Seismic in terms of automating materials. There is a lot of functionality but it's not always clear what best practices are and the best way to use it. Automation, content management, and analytics. Seismic has cut down the time it takes to update our quarterly materials. It has also streamlined the access to our materials by others in the firm. And it has given us analytics which we have used to determine the value of each piece of material. "Great partnership, and a very proactive approach to continuous improvement. " I am very impressed with the availability of the Seismic team for any issues or roadmap items we are looking to accomplish. They are willing to add resources where needed and take some of the heavy lifting off the internal teams. I have not yet seen something I dislike. The only challenge on occasion is that their product is expanding its capability so quickly, sometimes it is hard to keep up. We are solving the issue of keeping up to date Marketing content in the hands of our selling teams. We have seen fantastic improvements in both the consistency of our material in the field, as well as the engagement of our sales team to request new content. "Amazing tool for delivering documents and presentations with terrific analytics"
The ability to track who receives and opens my documents, the ease with which to create a link and the level of organization for all of the documents. Can't think of a thing. Perhaps more clearly identified tags on the case studies so that they are easier to read from thumbnails. Market and business development intel are crucial to our business. Seismic is a tool that will give you a competitive advantage and help you better service your clients as well as helping you to win more business. Seismic allows me to curate the collateral I wish to forward to my prospects without having to burden them with a ton of attachments. It also allows me to track what they open and how much time they spend on certain sections so that I can better gauge their needs. "Seismic makes emailing simple with great integration tools"
I like having the ability to track views of documents with an easy to access tool. Historically you had to rely on marketing to give you stats about who is opening each document. Seismic let you see all sent docs in one place. If I could change one thing, it would be the ability to create a template for one piece of content. Currently, you have to generate a link for each email sent, which prevents reusing the same link. With that said the Outlook integration helps and is only one small extra step. I like the integration options and the flexibility of how you can choose to use it. We have it integrated with our Salesforce and our Outlook. I personally like to use the integration with Outlook, because I can send the email right out of Outlook. I like how, if you put in multiple email addresses into a new message, you can add the content one time from Seismic and Seismic asks you if you want to send multiple emails so that each one can be tracked separately, makes it easy to send on content to multiple people easily. "Great product for a sales team! " I love that I am able to send digestible materials after sales calls (videos, flyers, etc) and then be able to see when people view them and for how long! It helps me gauge how invested the prospective customer is and helps me judge how much time that I want to spend on their opportunity. I cannot say that I have any dislikes so far! Typically when you work in sales, there are a lot of processes that happen where communication just goes dark. Having a product that gives us some visibility into what's going on on the customer's end of things goes a long way to help with the sales process! "Great Product and Customer Success Support"
I don't think I can choose just one thing for this, so I'll provide my top three. Seismic provides a single content management solution across our large organization, the tool and the dynamic decks can be administered largely by the business without IT support, and their customer success team is super knowledgeable, friendly and have an amazing "how can we help you be successful?" and can-do attitude. They are a wonderful partner to have by your side during your journey to organize and manage your content and to build efficiencies in your sales enablement processes. Occasionally the content library admin pages are slow to load, but Seismic is in the middle of mass updates to this module, so soon that will be upgraded. They are very open to feedback and suggestions we have about things that we feel would enhance our experience, and are quick to make enhancements. 3. Accurate account data automatically brought into our client decks. Business admin users can embed Salesforce fields into our decks (without IT support) thereby reducing IT costs for updating the decks, and reducing the sales reps' requirement to manually find and enter this info. The customer success group at Seismic is truly a member of your team and is dedicated to making sure that your experience with Seismic is successful. The tool itself has a number of extremely powerful features that can be used to solve a wide array of business cases. The control center is currently built using Silverlight, which requires that we use IE to use that part of the tool, but that is scheduled be upgraded (with new features that are needed) in the very near future. Give them a shot at solving your business case - you won't be disappointed. We use LiveForms to guide users through content selection and generation which allows them to easily select their content and us to make sure that they get the latest version of that content. In addition, we use a LiveDoc embedded within our own internally developed application to provide output which saved us a ton of development time. "Great product, but backend needs a refresh"
A single source to come to for content with the latest and greatest material. The back end. Control Center is super slow, and if I want to get something done quick, it slows me down tremendously. Better trainings on livedoc building. Trying to get more advance training, but when we talk about it ie. wanted to go through the building of a livedoc our consultant did for us, but never did. Now that we want/try to build our own, we din't get help (get sent back to the 4 webinars that just show the basics) or tell us they can charge us for services. Doesn't allow us to be self service. Having a single sources to get content and the livedoc functionality that allows for uniform presentations. "Seismic has helped us automate marketing materials and reporting!" I love that we are able to control, manage and update content all from one system! Initially building out the content was tough since we did it most of it in-house. Consider a way to link data from Bloomberg, that would be extremely beneficial! Seismic has greatly helped us to automate quarterly reporting! Since we've built out this out in Seismic, not only has it greatly cut down the time it takes us to create reports, but we also get the benefit of controlling the design and template which will help us in the future as we refresh our materials. Additionally, we use Seismic for some of our marketing materials. The biggest benefit is content control! This ensures our branding is accurate across all materials and removes the human error factor from manual data entry. "An efficient way to communicate"
Compared to the program we had previously used to put together Sales Packages, Client reviews, etc, the efficiency and flexibility are second to none. It is easy to use and the end results are ready within minutes. At this point, there is nothing I dislike. It is a flexible tool that suits mine and my organizations needs. "So easy to share and collaborate." Makes it so easy for large groups of people to customize content that needs to be standard due to legal reasons. It does so much more but I use it mostly for making sure we are compliant with government regulations on documents provided to our clients. Once you build the form as updates are made it affects all of the previous and future documents. Such peace of mind knowing that you run the form again and all updates are there...version control! I'd like it to be more compatible with Adobe products. Went from very heavy on transactional service team work to automated. Time saver and less errors in final documents. Form make it easy to direct teams where you want them to go. Great version control and consistency. "To Quote Tina Turner: Simply the Best"
Seismic has been a game changer for our sales and marketing teams. We have broken down silos, now have analytics to see what content is working, and our reps love being able to see what content is viewed by their prospects and customers. I have no negative feedback at this time. Lack of visibility between teams, right content at the right time, having a central location for everything. The search function actually brings up the right information and saves a lot of time for me. It's nothing that Seismic can impact, I just wish my organization has uploaded more content. * We monitor all Seismic reviews to prevent fraudulent reviews and keep review quality high. We do not post reviews by company employees or direct competitors. Validated reviews require the user to submit a screenshot of the product containing their user ID, in order to verify a user is an actual user of the product. Hi there! Are you looking to implement a solution like Seismic?